When it’s your child—when it seems like the world has stopped—we’re here.  Anchors Programs for Children exists for one reason: to support children and families facing a potentially life-limiting illness. Whether offering a child the comfort of a pediatric nurse, supporting a family’s unique needs, or extending emotional support to loved ones, we never stop finding ways to care. Following a nonprofit mission to serve all no matter what, we’re more than a symbol of support. We’re an anchor when it’s needed most. Whether the need is physical, spiritual or emotional, our pediatric-trained staff is prepared to help. Made up of experienced physicians, RNs, social workers, spiritual care advisors, and home health aides, our team works closely with your child’s current doctors, serving your needs at home or in the hospital. When it’s hardest, we’re here. Anchors Perinatal Program is by your side, bringing industry-leading care and services to parents whose unborn child may be facing a life-threatening or life-limiting condition. Led by a trained pediatric social worker, we work closely with your entire family and current care team to make sure you’re getting the support you need. For children who face a potentially life-limiting illness, we offer Compass Support Services. This program gives families a wide range of support services while coping with life’s day-to-day challenges. Our pediatric social workers will work directly with your current medical team and treatment plan. Watch this brief video to gain a better understanding of how Anchors Programs make a difference in people’s lives. With a focus on maximizing the quality of life for every child in our care, we are privileged to offer a wide range of pediatric services to families throughout Michigan. The Jo Elyn Nyman Anchors Programs for Children, funded through a generous gift from the Samuel & Jean Frankel Foundation includes the Compass Support Services, the James B. Fahner MD Pediatric Hospice Program and our Perinatal Program. Made possible through gifts from Jo Elyn Nyman and the Samuel & Jean Frankel Foundation. To learn more, or to see if your child is eligible, call 888-247-5704.